WASHINGTON — Nearly nine months after a Democratic National Committee worker was killed in his Northwest D.C. neighborhood, his family continues to take action to help solve the case. 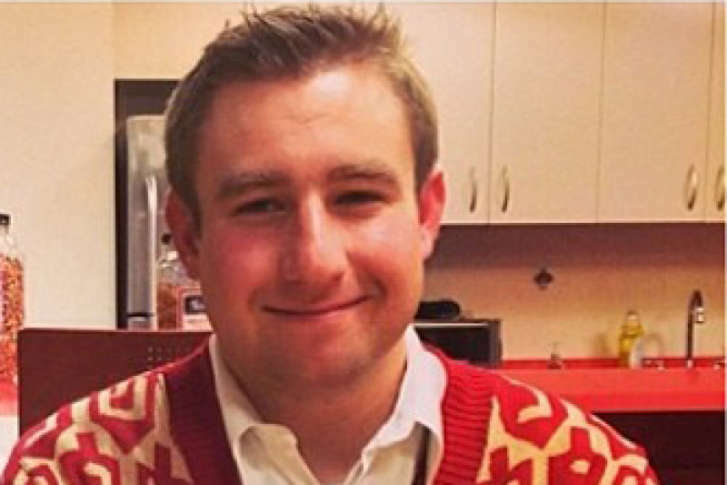 The family of Seth Rich has set up a Go Fund Me page to, among other things, print and distribute fliers reminding neighbors of Seth’s still-unsolved murder. The ticker is starting to rise toward the goal of $200,000. Seth was shot around 4 a.m. on July 10, 2016, on Flagler Place NW, just a block or so away from his home on First Street NW. When he was found, police say he still had valuables with him. He was 27 years old. His family is talking with the detective leading Seth’s murder investigation twice a month, said his older brother, Aaron Rich. “It’s obviously tough just to just picture, you know, was he laying there hopeless? We don’t think he realized he was shot, so that’s good,” Aaron said of his tendency to replay his brother’s killing in his mind. So far, no one has come forward to take responsibility for killing Seth in his Bloomingdale neighborhood, in what police have described as a robbery gone wrong. “I fully believe it was just a robbery that they thought was an easy target. He stood up for himself and unfortunately, you know, they decided to shoot him in the back after he got the upper hand,” Aaron said. D.C. police did not respond to the request for an update on the status of Seth’s investigation. Whoever attacked and killed Seth did not rob him, police have said. His brother said he believes the attacker didn’t have the chance. But the fact he was killed without any evidence of motive, fueled a wave of online theories suggesting Seth’s killing was politically motivated. “It wasn’t a loss for any political reasons … as far as we know, ya know wrong place, wrong time,” Aaron said. Aaron said the response through the Go Fund Me page is resonating with his family. “We don’t want him forgotten, we obviously want the murder solved but … we don’t want him forgotten for how great of a person he was, and how happy he always try to make people.” Aaron said.